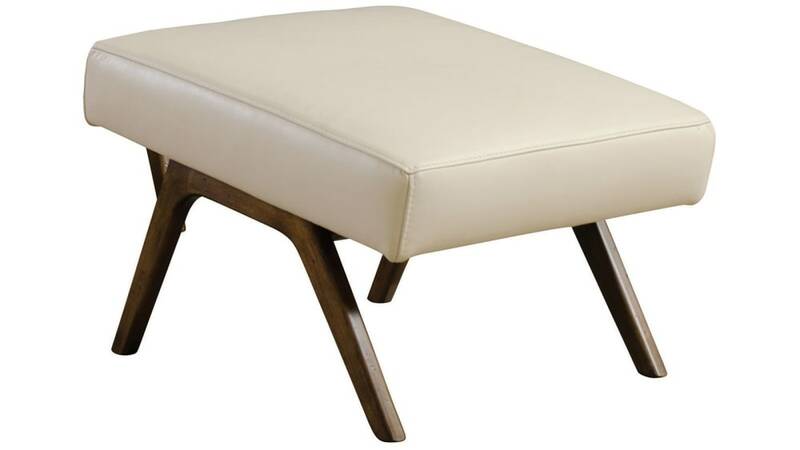 Featuring a solid wood frame and ivory-colored leather upholstery, this ottoman is a masterpiece of mid-century modern styling. Proudly Made in America, this ottoman is ready to become a long-term piece in your living space. Have it delivered from Gallery Furniture TODAY!